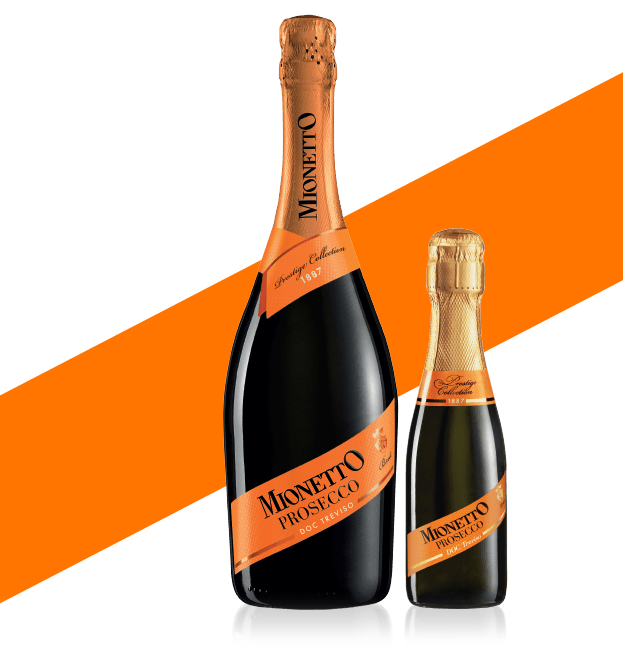 From the very heart of the Veneto region in Italy, Mionetto Brut, Rosé and Organic celebrate our century-long passion for making quality Prosecco and Sparkling Rosé. The grapes from the Treviso DOC area, give Mionetto Prosecco its luminous straw yellow hue with a bouquet of golden delicious apple, white peach and honey. 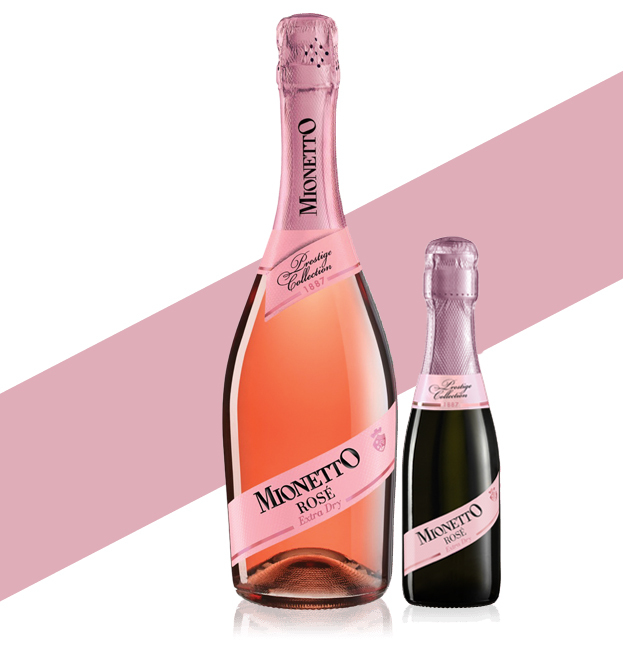 The soft-pressing of red grapes gives Mionetto Sparkling Rosé its peach blossom pink hue and fine lively bubbles. Fragrant hints of pink grapefruit, pomegranate and black current with notes of raspberry and wild strawberry. 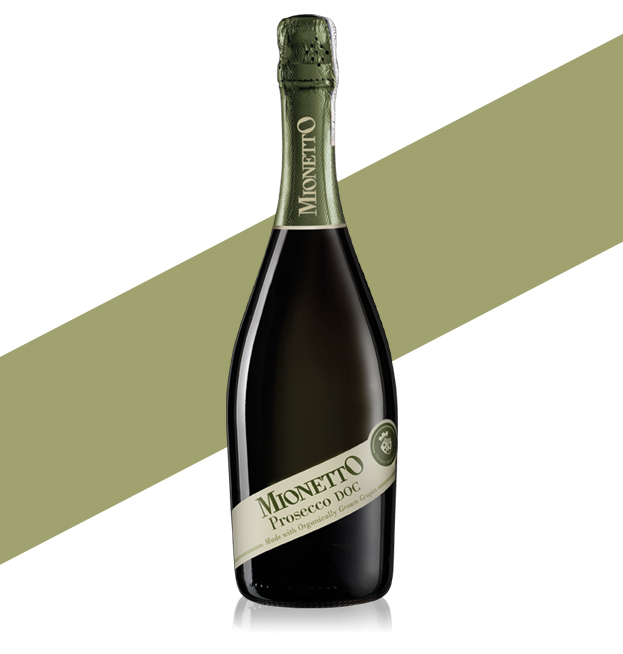 Mionetto Prosecco Organic is made from grapes grown without synthetic chemicals and fertilizers and vinified separately to ensure purity. Bright yellow in color with delicate aromas of elderflower and balanced flavors of green apple, pineapple and orange.